Set in the beautiful historic village of Ecclesmachan in West Lothian (close to Broxburn and Uphall), our hall is a suitable venue for wedding receptions, anniversary parties, birthday parties, family parties, children’s parties, charity events, corporate events, exhibitions, activity clubs and meetings. We offer a stunning and historical venue to hire which is suitable for a wide variety of events and functions from personal to corporate. The current hall was originally built as the village school circa 1875 and this building continued in use as a school until July 1951 when it was closed by the local authority due to the roll being only 6 pupils. It has been used since as the Village Hall, operated and run by volunteers from the local community. 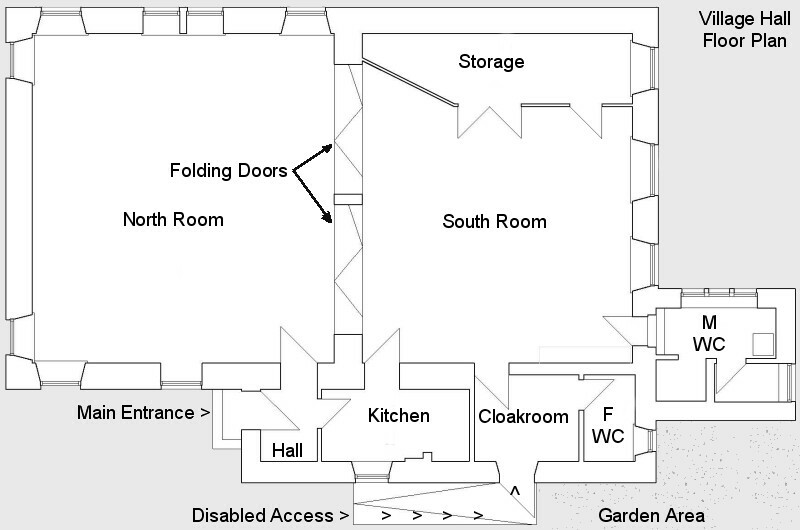 The north room and the south room can be left as one open area or separated into two rooms by using the timber & glass folding doors. The north room is 8.5m wide x 8.17m long (approx. 28'10" x 27'9") the south room is 6.65m wide x 7.31m long (approx. 21'9" x 24"). The combined area is 118 square metres (approx. 1270 square feet). As a guide, the north and south rooms combined will comfortably seat 60, with plenty of room for your buffet and the north room is renouned as having one of the best dance floors in the area.